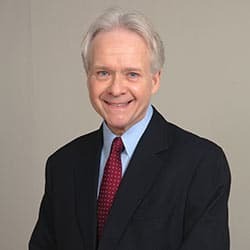 Dr. Thomas Forrest, DMD continues a tradition of orthodontic treatment in both McCandless and Sewickley that was started by two fine mentors, his father, Dr. Edward Forrest and Dr. James Tinnemeyer. Dr. Forrest has a family heritage in dentistry, which in addition to his dad, includes an aunt, uncle, and a cousin! Dr. Forrest feels that he stands on tall shoulders. Nearly sixty years ago, his father, Dr. Edward Forrest, who served as the Dean of the University of Pittsburgh’s School of Dental Medicine, opened one of Sewickley’s first orthodontic practices on Centennial Avenue. 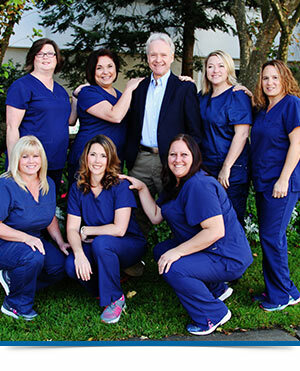 Dr. Forrest’s orthodontic training was supervised in part by his father and he had the privilege of working at his dad’s side early in his career. Today, Dr. Forrest continues the tradition of excellence in the same space where his father served his community for many years. Dr. Forrest was an associate of Dr. James Tinnemeyer in McCandless and Greentree for over 15 years. During that time, Dr. Forrest and members of his staff became familiar with Dr. Tinnemeyer’s time-tested philosophies, thus assuring a continuity of care and standard of treatment excellence for all of his patients. Prior to his orthodontic education, Dr. Forrest obtained five years of valuable experience in general dentistry while on the dental staff at the Veteran’s Administration Hospital in Pittsburgh. There, he honed a variety of dental skills including those needed for treatment planning and coordination among a variety of dental specialties. Following his return to the University of Pittsburgh for his certificate and master’s degree in orthodontics, Dr. Forrest served on the faculty of the Department of Orthodontics where he was a member of the team at the Cleft Palate Craniofacial Center. His earlier hospital training proved most valuable in working alongside the oral surgeons, prosthodontists, plastic surgeons, audiologists, speech and language pathologists there. A resident of Ben Avon, Dr. Forrest is an avid jogger and participates in a variety of local running events, including the Pittsburgh Half-Marathon, where he is mostly grateful to make it to the finish line. His main joy, however, is family time with his wife Diane and sons Tom and John. Tom Jr. and his wife Christine are both teachers and have blessed the family with their daughter, Juliet. John currently works locally for the Westinghouse Corporation. Dr. Forrest is proud to continue the traditions of exceptional orthodontic treatment to the northern communities. All patients are diagnosed and treated utilizing the most modern and state of the art techniques. At the same time, patient comfort and peace of mind are emphasized. Dr. Forrest feels that your peace of mind is of greatest importance when providing orthodontic care. He pledges to utilize his training and experience to provide the best and most comprehensive orthodontic analysis and treatment for you and your family.